SCENE: NOLA’s GOT LOADS OF HOPE! While NYC’s off-broadway is repping New Orleans with Tennessee Williams’ “Vieux Carre” and Jackie Alexander’s “The High Priestess of Dark Alley,” Tide’s got the real deal covered with its “Loads Of Hope” program which offers free laundry service to the city 5/14 – 16. 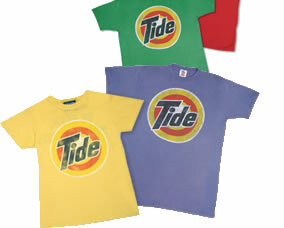 You can lend your support to the program by purchasing a vintage style t-shirt or a yellow cap bottle of Tide.